The current season is winding down now and several sci fi and fantasy shows look like they could become victims of the Peak TV crunch. But the networks are starting to understand that the old school Nielsen ratings no longer accurately reflect the full viewership for their shows, and that offers an opportunity for fans to step up and show their support in ways that the networks will notice. Last year we saw FOX’s Lucifer and Syfy’s The Expanse saved by the streaming services (Netflix and Amazon respectively) after fans took to the social networks (and more) to support those shows. So it appears that an active and engaged fanbase can influence the fate of a show if they rally together. Since the vast majority of us are not members of the Nielsen elite, watching live does very little to help out our shows. But if we are active on the social networks, especially when an episode has its live broadcast, those stats are counted. Live tweeting along with continued social network activity throughout the week helps get a show trending and brings more attention to it. I also believe that digital viewing helps (it definitely does for CW shows) because the networks see those numbers without the filter of Nielsen sampling. And buying the season pass to a show from Amazon, iTunes, etc. could help as well because that goes straight to the bottom line. I go into more detail on what fans can do to help their shows at our Call to Action page which also includes tips for how to put together a Save My Show campaign. Below is the current list of the shows that could use a Call to Action from fans. A few have already been cancelled and some of the others are definitely verging on a date with the Network Executioner. Others are looking weak in their ratings performance and/or could just use a boost of support from fans. If you have an active campaign for any of these shows, let us know in the comments below, on Twitter, or CancelledSciFi [at] Gmail [dot] com and we will include the information and help promote it. Cloak and Dagger (Freeform, Status: Renewal Possible) This is a new addition to the list as the show has just returned and its numbers are down notably from its first year. In the show’s favor, it has been well-received by critics and it is owned by Disney which also owns Freeform. This one also has a very vocal fanbase and they definitely need to get active on the social nets to give this one a boost. Deadly Class (Syfy, Status: Renewal Possible) After pulling decent debut numbers, this show looked like it might count as a hit for Syfy, but the ratings slipped notably in the second half of its first season. Its overall ratings average is still good enough that I believe it has a chance at a second season renewal, but a shout out from fans on the social nets could definitely help the show’s cause. The Gifted (FOX, Status: Cancellation Likely) This is currently one of FOX’s lowest-rated shows, and now that the X-Men will get merged into the MCU Disney may just decide to cast this one aside. Series creator Matt Nix believes that the best chance for the show is to shift to a streaming service like Hulu. Perhaps they do give this one a final season to wrap up its storylines (just like Legion is getting), but I am thinking the fans will have to make some noise for that to happen. Happy! (Syfy, Status: On the Bubble) This is a late addition to this list, but the show just returned with numbers well below what it was seeing in its first season. If it rebounds, it might be okay, but that’s rarely the direction ratings go after a season premiere. Fans should get an early start making some noise to support this show on the social nets, otherwise it is likely not heading to a happy ending. Into the Badlands (AMC, Status: Cancelled) This show has already been cancelled and is in he process of airing its final Season 3 episodes. But if fans were to make a strong showing on the social nets and also stage online viewing parties, maybe they could change AMC’s mind or convince another venue to pick it up? The OA (Netflix, Status: Renewal Possible) This show just returned for its second season, but Netflix has been in the business of cancelling lately and the streamer appears more interested in churning shows than keeping them around for multiple seasons. This one could still get a third season (which seems to be the ceiling for Netflix shows of late), though, and a push from fans could definitely help to bring this one more attention. 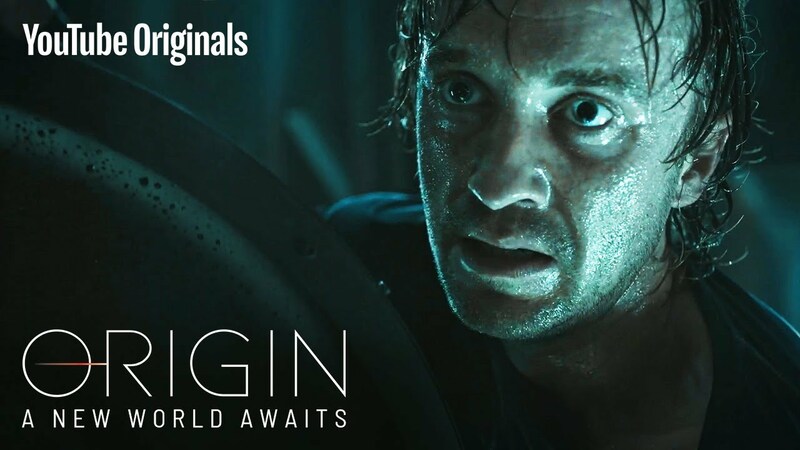 Origin (YouTube, Status: Cancelled) YouTube has cancelled this show as it appears the streamer may be cutting back on its scripted originals. If fans were to make a show of support, maybe another venue could decide to pick it up, but I haven’t seen much effort to help this one out. The Orville (FOX, Status: Renewal Possible) The numbers for this show are down notably year-over-year and it is currently one of the network’s lower-rated shows. That said, series creator Seth McFarlane has a lot of pull at FOX and this show is eligible for notable tax credits if it gets a third season nod. FOX will have less space on its schedule next season since wrestling will take up one night, so the network will think long and hard about bringing back moderate or under performing shows. I still believe that The Orville has a decent chance for getting renewed, but a push from fans could give it a boost. The Passage (FOX, Status: On the Bubble) This series started out its first season with decent numbers but saw those drop in subsequent weeks to the point that I have moved it On the Bubble. FOX invested quite a bit into developing this project and I would have guessed that they would give it the second season nod if not for the Disney buyout. But the Mouse House may simply look at this as an under-performer and may sweep it out with any house-cleaning that might be on the way. Maybe a strong stand by the fans could convince them to keep it around, though. Roswell New Mexico (CW, Status: Renewal Possible) The CW did not include this one in its extensive set of renewals earlier in the year because it had just joined the schedule. At first, it looked to be on target for a second season renewal, but its numbers have dropped in recent weeks (largely because it has been going solo on Tuesdays with The Flash frequently preempted or in repeats). I still believe that the Happy Net is more likely to renew this one than cancel it, but a showing of support from fans could definitely help its cause. Shadowhunters (Freeform, Status: Cancelled) This show is already cancelled and it is in the process of airing its final episodes which are at series low levels ratings-wise. But maybe one final push from the fans could convince another venue to pick it up? 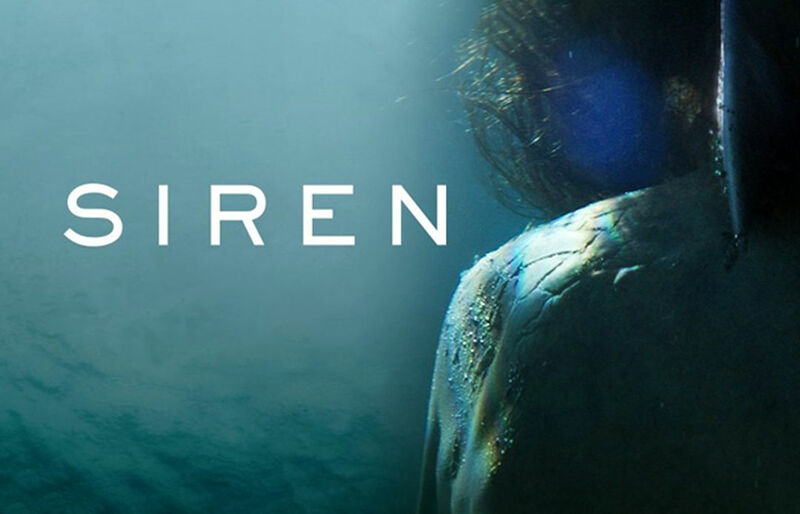 Siren (Freeform, Status: Renewal Possible) This show got off to a decent start ratings-wise in its second season, but then saw its numbers drop notably in subsequent weeks. It still has its head above water, but just barely. It is currently on hiatus, but now would be a good time for fans to make some noise to help bring it some more attention. Wynonna Earp (Syfy, Status: Uncertain) This show has already been renewed for a fourth season (with a fifth planned as well), but its production company is going through some financial struggles and it has been put on hold. Fans are showing their support with the #FightForWynonna hashtag and other efforts as detailed at this link. Z Nation (Syfy, Status: Cancelled) This show is already cancelled, but I’m surprised there was not a strong push by fans to convince Netflix to pick it up for at least one more year. That streaming service has the prequel series Black Summer set to debut on April 11th and it is also running the earlier seasons of Z Nation. The show can’t be too expensive to produce because it comes from The Asylum, the masters of budget productions. Plus, one more season would get it to an episode count that would make the show more attractive to the syndication market. It sure seems like a sixth season would be good for all involved, but I am not seeing much momentum in that direction. What We Do in the Shadows (FX, Status: Renewal Possible) This show just debuted with okay numbers for a cable series, though those have dropped off some. Fans may want to make some noise on the social nets to bring attention to this one. …”Origin”‘s already been given the axe. Yep, saw that as well and updated the post.